Home » Cosplay » In Brief: What is Cosplay? Cosplay is an unavoidable term in the costume world but represents a whole subculture with millions identifying with this trend that emerged in the 1990s. At a basic level it means ‘costume play’ and represents the culture of dressing up as a specific fictional character. That seems nothing new and simply puts a new name on centuries of dressing up for fun – like your school’s World Book Day on steroids – but with some crucial differences. Unlike a fancy dress approach, cosplay means dressing up as a character you truly identify with and putting a lot more effort into cultivating the right look that you can bring out for all sorts of events. Have you ever emerged from a Lord of the Rings or Game of Thrones marathon and had a deep desire to live in a world of medieval fantasy as Aragorn or Daenerys Targaryen? For many people that desire is what inspires them to do cosplay. While early cosplay developed around sci-fi conventions throughout the mid-20th century, the birth of this culture rose in just the last couple of decades largely because of the influence of computer games that plunge players into fantasy worlds, not to mention more films and TV series with compelling special effects. Japan had already been ahead in fan costuming and remains the most dominant nation in the cosplay world, hosting the first ever world summit in 2003 and championship in 2005. Today the main events for cosplayers to dress up are conventions where the majority of attendees go in character. Cosplayers obtain their apparel through many different methods. Manufacturers produce and sell packaged outfits for use in cosplay, with varying levels of quality. The online market for ready-made costumes is huge as well as buying from dealers at conventions. Japanese manufacturers of cosplay costumes reported a profit of 35 billion yen ($331,450,000) in 2008. Many cosplayers create their own costumes with fabric, liquid latex, body paint, costume jewellery, wigs and prop weapons. The common aim is to create the most visually-compelling and authentic- looking costume possible. This is achieved by replicating minute details from photographs, even to the extent of weathering costumes to mimic age and damage. The process doesn’t stop with just the outfit. 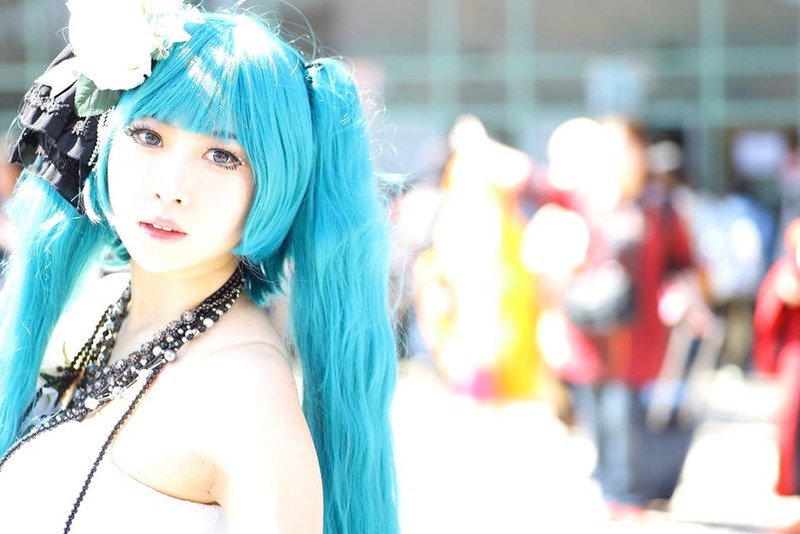 Contact lenses, temporary tattoos and hair dye or spray-in hair colouring are important cosmetic changes to the cosplayer’s own body. The result of so much effort driven into looking the part is professional cosplayers who are paid to perform as their character. One of top cosplay jobs is in advertising as models, often for cosplay products. Many also volunteer to visit children’s hospitals in character. At a lower level the dedicated and global nature of cosplay means some cosplay vloggers have shot to internet fame by offering tutorials and reviews.